SU unit is a self standing P.T.O. 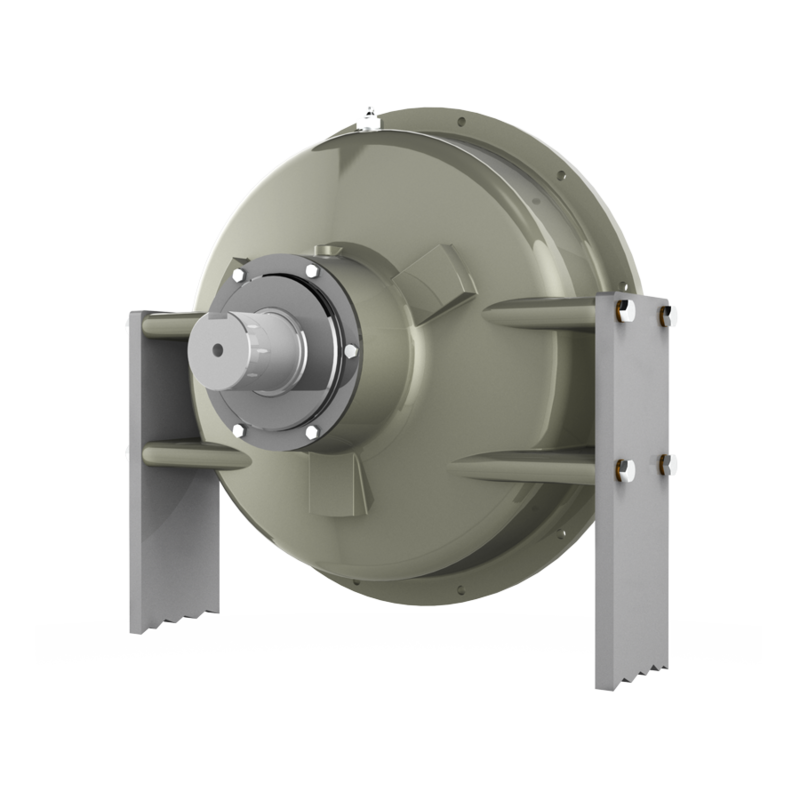 featuring an input shaft with radial load capability and SAE4-10″, SAE3-11 1/2nd”, SAE1-14″ standard output. Its design allows the installation on output side of any kind of PTOs including Transfluid HFR/HFO oil actuated clutches, pumps and transmissions; the output design allows high radial load application. SU finds applications on either electric motors or industrial and marine Diesel: typical installation is an engine front end leaving engine free from supporting weight and unwished vibrations.